On 9th February 1538, Anthony Denny married Joan Champernon. Over the next few years she gave birth to five sons and four daughters. In 1539 Anthony Denny was appointed as gentleman of the privy chamber. 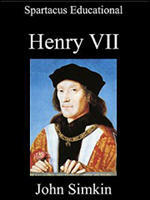 In this role he became very close to Henry VIII. 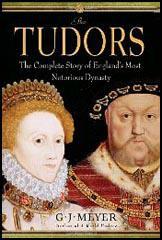 This included having conversations with Denny about the mistake he had made in marrying Anne of Cleves. Henry told Denny that his wife was not only "not as she was reported, but had breasts so slack and other parts of body in such sort that he somewhat suspected her virginity". (4) In 1544 he accompanied the king to Boulogne, and was knighted there on 30th September. In 1545 Denny presented the king with a clock designed by Hans Holbein. Edward Seymour, Duke of Somerset, emerged as the leading figure in the government and was given the title Lord Protector. He was now arguably the most influential person in the land. (10) Edward's brother, Thomas, although he was in his late thirties, proposed to the Council that he should marry the 13-year-old, Elizabeth, but he was told this was unacceptable. He now set his sights on Catherine Parr. At the time he was described as "being gifted with charm and intelligence... and a handsome appearance". 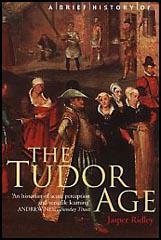 Seymour married Parr in secret in about May 1547. Sir Anthony Denny took part in the attempt to suppress the rebellion led by Robert Kett. 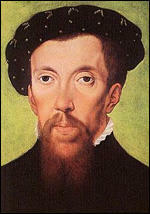 However, he was taken ill and died on 10th September 1549. As the 1540s progressed Denny became ever closer to King Henry. He was one of the first courtiers whom Henry took into his confidence in lamenting his nuptial contract with Anne of Cleves. In 1544 he accompanied the king to Boulogne, and was knighted there on 30 September, after the city's capitulation. Denny had hitherto been junior to Sir Thomas Heneage in the privy chamber, but henceforward his influence exceeded Heneage's, especially after 20 September 1545 when Denny, along with John Gates (the husband of his sister Mary) and their assistant William Clerk, was licensed by the king to affix the royal stamp - the sign manual - on all documents emanating from the monarch. Occasioned by Henry's growing infirmity, this was a transfer of authority which gave great influence to the men who wielded it. Then in October 1546 Heneage retired from service and Denny replaced him as first chief gentleman and groom of the stool. Denny often exchanged gifts with the king. On new year's day 1537 Queen Jane Seymour gave him a gold brooch (presumably intended for his wife), and at the beginning of 1545 Denny presented the king with a clock designed by Hans Holbein.